If you run any sort of online business, you are surely aware of how effective email marketing is. It simply dwarfs all other forms of marketing. 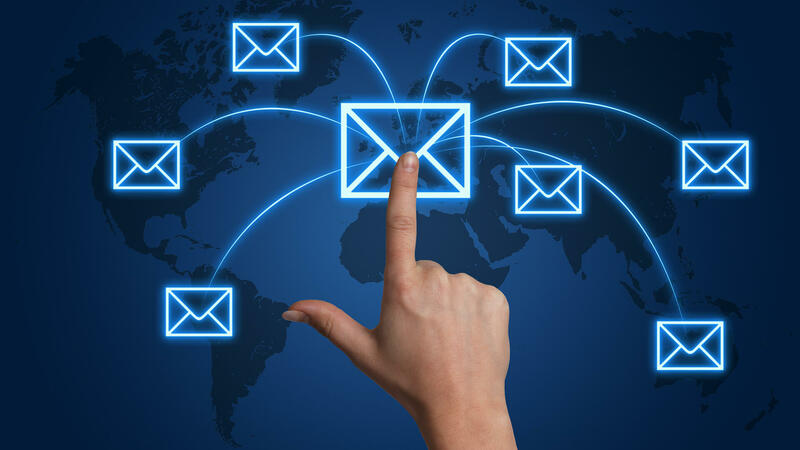 According to Campaign Monitor, the average ROI in email marketing is 4400%. This means that you earn $44 for every dollar you spend on it. And that trend isn’t set to stop any time soon because ROI used to be $38 for every dollar you spend. However, building email lists is not easy, because you need to be able to produce high-quality content on a regular basis. Furthermore, that a worthy research paper needs to strike a particular chord with your audience, so that they decide to become your subscribers, and not just mere readers. In order to do that, you also need to promote the hell of out your content. Then, you need build trust between your company and your subscribers, so that they eventually become your customers. But, it’s well worth the effort, because email is around 40 times more effective at helping you bring in new customers than Facebook or Twitter, according to research done by McKinsey. The problem is that a lot of businesses, even those which have massive email lists, rely on ineffective or outdated strategies which don’t produce adequate results. For example, they will send a series of autoresponder emails, which contain promotional material. After a while, they email list grows quiet, despite the number of subscribers, which just goes to show that it’s not about the quantity, but the quality of your list. To help you re-engage your subscribers, here are six unusual, yet sure-fire strategies that will work like a charm. According to data collected by Email Stats Center, your average email subscriber will receive about 11 emails coming from various businesses inside their inbox. If you add to that 9 commercial messages they will receive on Facebook, and 8 on Twitter, it adds up to a lot of content. The problem is that a lot of that content is solely and consistently promotional. Once your subscribers realize that’s all they’ll ever going to get from you, they will tune out. Even if your content is helpful and relevant, they might still ignore it, because you are not targeting the right people. By providing value in your emails to your target audience, you are establishing yourself as a genuine source of information, and your subscribers will be more likely to purchase one of your products. While this may seem like suicide from a financial point of view, it is actually the opposite. Most marketers tend to think of their best content as finite and precious. But, your best content demonstrates very clearly that you are able to offer something of value to your audience. You can’t expect to offer anything and have your subscribers reciprocate by making a purchase. For instance, you can create a video which demonstrates the key features of your product, share interviews you have done with some of the influencers in your niche, or user reviews written by your repeating customers. You can also point them to your older content in case they have missed, or create detailed research-based pillar posts. If you are short on time to do that, you can get research paper writing help online, and have professional researchers gather relevant stats and data that will bolster your content’s effectiveness. About 60% of the subscribers are inactive, which means that only 40 out of 100 on the list will actually read your content. While it might not seem like such a dramatic number, consider how much time you have invested into growing your email list, only to have 60% of it gone to waste. In case some of your subscribers aren’t interested in what you have to offer them, then you should definitely cut them from the list, because you don’t want to invest time and money on something that will never pay dividends. Before you remove them from the list, ask them if they are still interested in a subscription. While the majority will never respond, there will still be some which are genuinely interested, but have failed to follow up for some reason. All they needed was a gentle nudge from you. One of the things you should include into each of your emails is a clear and concise call to action. This tactic is especially useful if you are trying to figure out which subscribers are still interested in what you have to offer. If they re-engage, you can proceed to invest your time and money into converting them. Those that don’t can be removed from the list, as we have explained in one of the previous paragraphs. Since email marketing is so effective, plenty of email marketers make a mistake of burying their subscribers with messages, which has an adverse effect. Instead taking the time to analyze what you have sent them, they receive half a dozen of other messages from you, and get confused by the amount of content you are sending them. As a result, they do not respond. What you can do is send a series of emails that will help your subscribers become acquainted with your product or service. You can also direct them toward webinars where you explain what you have to offer in greater detail. After that, you can stop sending them emails for a while, and they pick it right back up a bit later. You can include them in your email’s subject line, the body of the message, or the P.S. section. Cliffhangers have the ability to spark readers’ curiosity, just like those clickbait headlines nobody can seem to resist. The only difference is that you will be offering valuable content beyond that cliffhanger, instead of useless filler. For example, write your subject line using the following template: “These methods produced [INSERT RESULT] in only one month…” In case you are not sure how to write it, there are plenty of templates and examples on the web. All you have to do is insert content that is specific to your business. By following the tips laid out in this article, you will be able to re-engage a significant percentage of your subscribers. Instead of focusing on just expanding your email list, try and remind your existing ones about your services, because the cost of re-engagement is a lot lower than going after new leads.